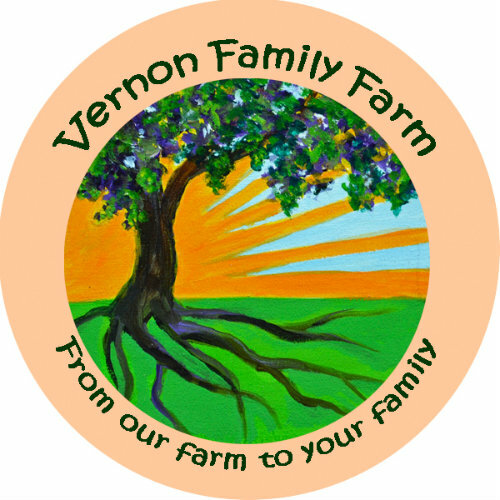 Vernon Family Farm was started in 2014 by Jeremiah and Nicole Vernon on 33 conserved acres along the Piscassic River in Newfields, NH. You can enjoy our pastured chickens and mushrooms at our farm store, regional farmers markets and restaurants. We now offer ready to eat, rotisserie chickens at the markets and at our farm store on Fridays throughout the summer or have us cater your next event! You can also share the farm experience by participating in one of our many events. Farm store is open daily 9-6, year round. Local products from area farms and producers also available for sale: Beef, pork, maple syrup, charcuterie, honey, spice blend, dairy, egg, produce and more. Our products are also available at regional restaurants on the seacoast of NH, ME and MA and in Manchester, NH, Concord, NH and more. Our flexible, free choice, debit style CSA can be used year round to purchase our local products at regional markets and for products available in our store which include but are not limited to chicken, mushroom, beef, pork, maple syrup, charcuterie, honey, spice blend, dairy, egg, produce and more. We offer the convenience of a one-stop, local shopping experience and our farm store products are either from our farm or are purchased from other local farms. Enrollment is open year-round. Some products may not be CSA eligible.